A fellow NAPFA advisor and I were pondering this question this morning. Our meeting was centered upon marketing our 401(k) participant advice services to employers, individuals, and related service providers. In our minds people should be beating our doors down given the general state of retirement readiness in this country. 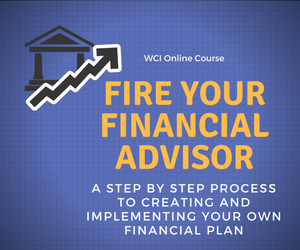 The interesting obstacle that we’ve encountered is a resistance among many plan participants to pay for advice, with fees starting as low as $400 per year. Both of us run our own separate practices that focus on moderate to high net individuals, and in my case also to retirement plan sponsors, foundations, and endowments. These folks are used to paying fees and the level of the fees we ask are usually not a surprise to these clients. We came up with two great questions in terms of the 401(k) participant advice market. How much is financial advice worth? Is your financial future worth $400? I recently needed a new water heater, and we paid upwards of $1,500 for the water heater and the labor to install it. Given that this is not an area of expertise for me, and the fact that working with our gas connection made me very uncomfortable this seemed like money well-spent. Depending upon their specialty and your location, an attorney might charge $250 -$500 per hour. If you find yourself in a situation requiring their legal expertise, most of us wouldn’t bat an eye at these fees. People routinely spend $1,000; $2,000; or more on a vacation. This is money well-spent; I know that our adult children still talk about some of the family vacations we took when they were younger. So how much is competent, unbiased financial advice worth? Part of the answer lies in the benefit that you expect to receive from spending the money. I ask the question rhetorically because we really want input. Please leave a comment with your thoughts; we’d really love to know what you think. As always please feel free to contact me with your financial planning questions and concerns. Client Interests Shouldn’t Come First? The financial services lobby (primarily major brokerage firms and insurance companies) have vigorously fought a proposed Fiduciary Standard that would cover all who provide financial advice to consumers. They have made arguments including one that many investors with smaller accounts might find themselves without access to advice as a result of an inability to charge commissions on these smaller accounts (an argument that is not necessarily true). The bottom line here is that a financial advisor who acts as a Fiduciary is required to place the best interests of their clients first. Maybe I’m making this all too simple, but to me the opponents of a Fiduciary Standard for all advisors are saying that the interests of their clients shouldn’t (or don’t) come first. If the client’s interests don’t come first, whose interests do come first? I’ll leave that as a rhetorical question for you the reader to answer. I first wrote about this topic in 2009 in my post Why Should I Care if My Financial Advisor is a Fiduciary? Sadly this debate continues between the regulators, the financial services lobby, and groups who support a Fiduciary Standard for all advisors. NAPFA’s Pursuit of a Financial Advisor Field Guide; an excellent resource to help guide you through the process of finding the right financial advisor for you. 6 Questions to Ask Your Financial Adviser, an article that I recently wrote for the US News Smarter Investor Blog. As always feel free to contact me if I can be of help. Full disclosure, I am a Fee-Only advisor and a member of NAPFA, the largest professional organization of fee-only advisors in the country. We sign a Fiduciary Oath towards our clients when we join and reaffirm that oath annually upon the renewal of our membership. Why Are You Running Your Company’s 401(k) Plan? Smart Money recently ran an article depicting several small companies where either the owner or a group of senior managers were in charge of the firm’s 401(k) plan and who were largely making decisions regarding the plan on their own. The article pointed out that many of these folks do not have a background in either investments or qualified plans. The focus of the article was to point out to plan participants that in many cases their plan was being run by folks who may or may not be qualified to make decisions as to investments offered, the custodial platform, or the plan record keeper. My take on this article is to wonder why these small/mid-sized company owners and managers would want to take on this responsibility? First of all, these individuals would be considered plan fiduciaries,which means that they can be held personally liable under certain circumstances for doing a poor job. Effectively managing a 401(k) plan involves taking the time to select and monitor the investments, overall plan expenses, as well as the fees and performance of all plan vendors. Today it seems that business owners and their senior managers have more on their plates than ever. Running a 401(k) plan is about more than the investments. Total plan cost has always been a key issue and is coming more into the limelight as the spotlight shines on the issue of Fiduciary roles and obligations. Selection and monitoring of Target Date funds is receiving much attention in the press and in Congress in light of the losses suffered in 2008 by some of the shorter maturity date funds. Defaulting to the funds offered by a bundled provider is not always the right answer, this option will likely come under more and more scrutiny over the next few years. Even if the business owner is a knowledgeable investor in his/her own right, does this knowledge translate into the ability or the time to select and monitor all aspects of a solid retirement plan that is a great option for the majority of the company’s employees? I’ve seen instances of plans that will take the suggestions of their bundled provider (a fund company such as Vanguard, Fidelity, or T. Rowe, or an insurance company such as Prudential) and implement those suggestions as the plan’s investment lineup. The representatives of these companies are not plan fiduciaries, but company managers running the plan are. I doubt that these folks are trying to do the plan any harm, but at the end of the day their loyalty is to their employer not the plan participants. If your company’s plan is via an insurance company, your agent or registered rep may be providing investment advice to the plan. Again, this person is likely not a fiduciary, they receive commissions paid by the provider and their loyalties are at best divided. In the interest of full disclosure I am a fee-only consultant to 401(k) plans providing advice to small/mid-sized plans. If this post seems self-serving I apologize, but this is a key issue for both owners/managers of these companies and their employees. In my opinion, running the company’s 401(k) plan requires a level of diligence and expertise that the “do it your selfer” business owner often does not have. Pulling out a Morningstar report on the funds once or twice per year does not, in my opinion, constitute proper diligence and monitoring of the plan. Retirement plan sponsors, do you need an independent review of your company’s plan? Do you need help selecting a new plan provider? Are you looking for ongoing financial advice to help you meet your fiduciary obligations and to provide a superior retirement savings vehicle for your employees? 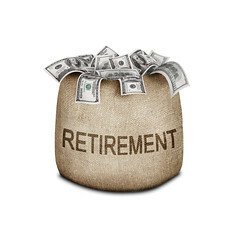 Please feel free to contact me to learn about our investment consulting services for retirement plan sponsors. For you do-it-yourselfers, check out Morningstar.com to analyze your 401(k) plan options and to get a free trial for their premium services. My last post discussed some really sub-par 401(k) plans. I’ve also been fairly vocal in discussion groups on LinkedIn about some of the issues and problems I see in many plans. An active and engaged Investment Committee is essential. Several committees I deal with are comprised of the company chairman, president and the top financial executive. One committee is made up of the president, the senior finance and human resources executives, as well as three members of the union from the company’s manufacturing operations. What these committees have in common is an interest in the plan and a desire to offer a top-notch plan for their fellow plan participants. An investment process governing the management of the plan. The major piece of this process is a written Investment Policy Statement (IPS). Think of the IPS as the “business plan” for the 401(k) plan. Included in a good IPS are things such as a definition of the types of investment vehicles permitted; asset classes to be considered; criteria for the selection of the investments offered; criteria for monitoring those investments; a process for the review and possible replacement of any investments that fall outside of acceptable criteria. Additionally the IPS should specify that the Investment Committee will review expenses associated with administration, custody, and related services, as well as the quality of those services. A well-documented investment process does two things. First it is a vehicle for the plan sponsor to document that they are running the plan in a fashion consistent with their fiduciary obligations. Second, this type of process, if followed, will ensure that there are solid investments being offered and that expenses are being reviewed. A menu of solid, well diversified investment options is offered. A provider can offer the greatest website and all of the bells and whistles available, but at the end of the day what really matters is that the participants have a diversified menu of very solid investment choices that are selected and monitored in accordance with the IPS. The investments should cover most or all of the nine Morningstar domestic style boxes as well as at least one fixed income, money market or stable value, and at least one international equity choice. Balanced options, lifestyle, or target funds that allow the participants to delegate the allocation of their assets should also be included. These choices should be scrutinized, monitored, and reviewed in the same manner as the other plan investment options. Depending upon the preferences of the Investment Committee, the company’s census demographics, and other factors, options in other assets classes might be included as well. Overall plan expenses are monitored and controlled by the investment committee. Investment expenses are an obvious aspect of this, but the plan sponsor is responsible for all plan expenses. This also includes all expenses associated with record keeping, administration, and custody. The sponsor should know what is being charged for all services and how these total expenses compare with plans of a similar size. If there is revenue sharing involved, the plan sponsor should receive a full accounting at least annually of all revenue sharing paid to the plan provider and how that revenue sharing was spent. This is after all the participant’s money, accounting for these dollars is a fiduciary obligation of the plan sponsor. In the future hopefully plans will offer their participants the option of having an unbiased, unconflicted Fiduciary Advisor manage their individual 401(k) accounts. This goes far beyond the education currently offered by some plans and, in my opinion, gets to the real heart of what participants need.